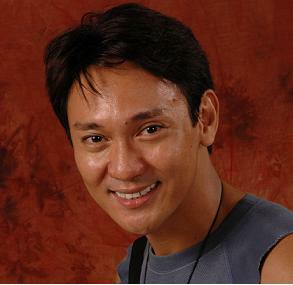 The 2007 Aliw Awardee for Best Actor Roeder Camañag (in photo) is one of the instructors for the Acting in Musical Theater for Teens and Young Adults workshop of Gantimpala Theater. Budding thespians will have an unforgettable summer as Gantimpala Theater invites them to their Acting in Musical Theater for Teens and Adults—a special workshop course where singing, movements and acting classes are combined to prepare workshoppers/actors in musical theater productions. A musical recital will be the culminating production of the workshop. Gantimpala Theater is devoted to the production of curriculum-oriented productions such as Ibong Adarna, Florante at Laura, Kanser (Noli Me Tangere), and El Filibusterismo. The thirty-one year old professional theater company also stages literary and theatrical works by National Artists for Literature and Theater (most recent of which are F.Sionil Jose's The God Stealer/Nick Joaquin's The Queen's Jewel, 2006 ALIW Awards Best Play and Wilfrido Ma. Guerrero's Forever/Call Me Flory, 2007 ALIW Awards Best Play Nominee); and popular English classics (William Shakespeare's Romeo and Juliet was the season ender). During its Pearl Theater Festival held last September, revivals of contemporary dramas such as Katipunan, Mga Anak ng Bayan, Ramona Reyes ng Forbes Park, Bombita and Taluktok were all staged at the Rizal Park and other select venues. Says artistic director Tony Espejo:"For the past 31 years, Gantimpala Theater has been conducting workshops. I always tell our workshoppers that the one month of intensive workshops involving acting, singing and dancing are but the beginnings of a bigger world where one continuously educates himself, that the summer workshops are but introductions to the pursuit of a lifelong passion for creativity, excellence and sharing one's talents with one's co-artists as well as the discerning audience. I guarantee you that this workshop would be the beginning of your love affair with the theater." Gantimpala Theater's Acting in Musical Theater for Teens and Young Adults begins Monday, April 14 to Friday, May 18, 2008. Classes are every Monday, Wednesday and Friday, from 1:00p.m. to 5:00p.m. Registration and enrollment begins on March 24. Tuition is P5,000. Instructors for this year's workshop are 2007 Aliw Awardee for Best Actor Roeder Camañag and tenor Nazer Salcedo.